The first capacitive SENSORswitches used with touch function from CAPTRON were developed and manufactured in 1994 for public transportation. Today, electronic switches are used worldwide in a wide range of industries and areas especially when unconditional reliability, durability, comfort and design are required. In addition to a wear-free and maintenance-free electronics, the SENSORswitches have a very robust and vandal-proof design. Their 100% water-and oil-proof construction will resist even the most adverse environmental influences as well as industrial effects such as dirt, dust and chemicals. 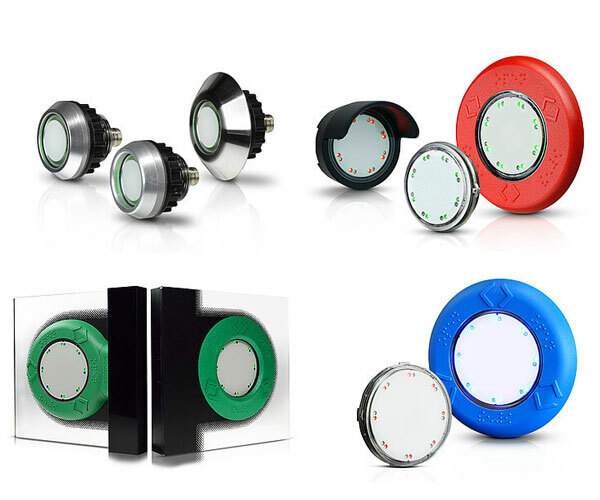 The versatility of SENSORswitches means that they can be used almost universally with different shapes, materials, connection types, installation types, installation depths and specific standards and requirements. If necessary, SENSORswitches from the standard range can be tailored and modified optically and technically to meet individual customer demands. CAPTRON is an experienced measuring technology manufacturer for the industry and the market leader in fill level measurement in the field of dispensing technology. Capacitive CAPTRON probes accurately and reliable measure the fill levels of liquids, bulky goods, pastes, adhesives and chemically aggressive materials. 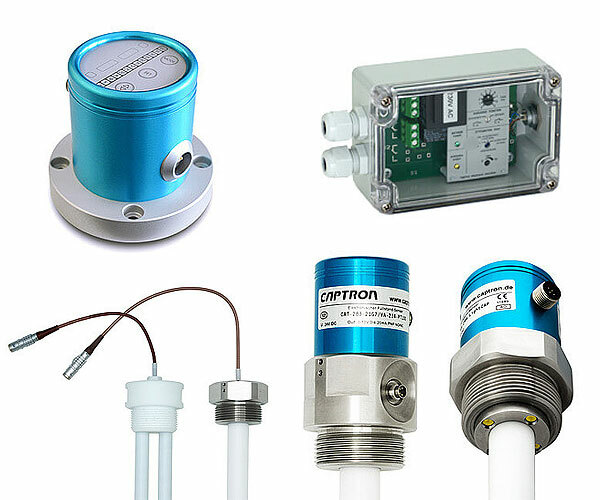 With the CAPselect system for level sensors, you are able to freely configure the probe of your choice depending on the application, container type and sensor properties. CAPTRON produces these with millimetre accuracy to ensure full flexibility. 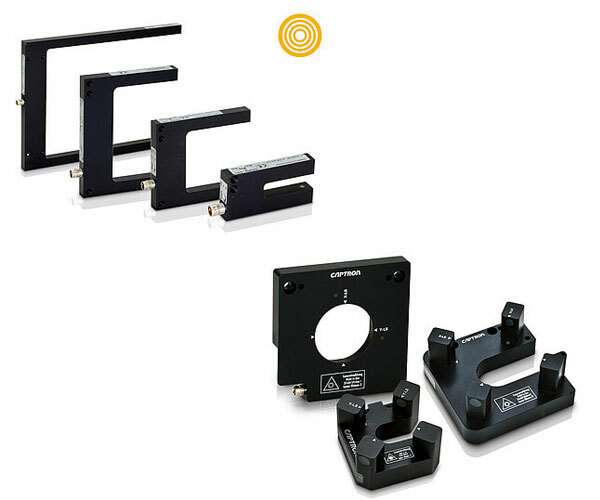 There are two systems to choose from: Compact probes, in which the electronics and probe form a single unit. Probes with external amplifiers that are suitable for applications with high temperatures and pressures. Thanks to their wear-free electronics combined with high-quality material such as stainless steel, Teflon and Peek, CAPTRON level sensors are reliable, robust and long-lasting. 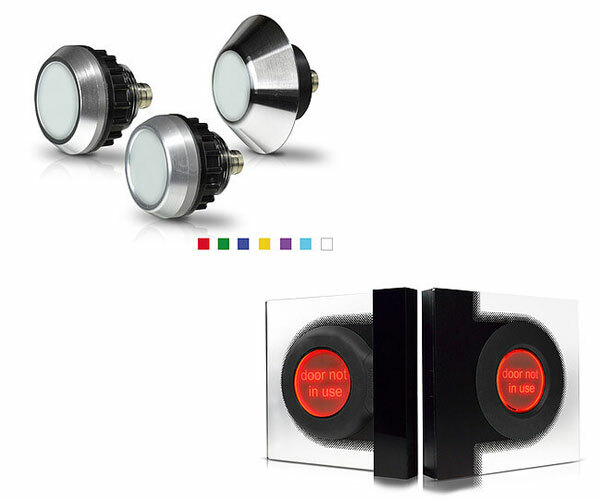 Our range of optical sensors comprises classic forked light barriers with red light or infrared technology. Still greater accuracy is offered by our laser light barriers, which even respond to tiny objects. The special design with integrated air system is an optimal solution when it comes to contamination, as the air system prevents dust and dirt from collecting on the transmitter and receiver. A further CAPTRON innovation is the product series of TCP measurement units with laser. TCP measurement units ensure a highly precise tool calibration and precise XYZ measurement in industrial robots. TCP measurement units are commonly used in robot-based automation processes in the metering and bonding technology, welding, soldering and in the food industry. We guarantee high quality of our products, know-how and experience with customer-specific solutions at all times. CAPTRON is the pioneer of the first capacitive two-hand control with the highest safety category (Cat. 4) and PL e to DIN EN ISO 13849-1. 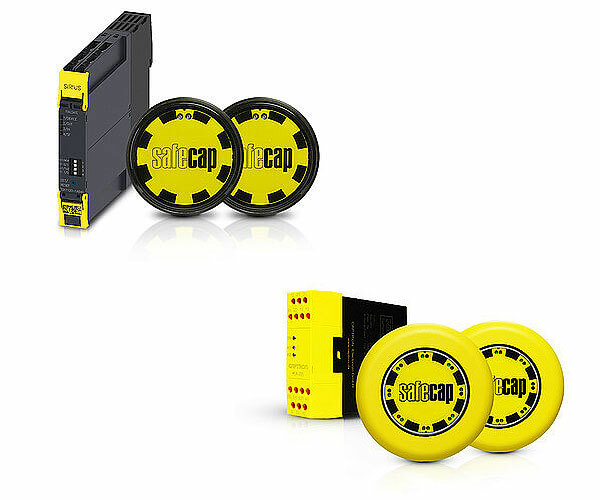 The capacitive "safeCAP" two-hand safety control allows heavy machinery and systems in automated production plants, such as presses and punches, to be controlled safely and without pressure. To start the machine the user simultaneously presses two capacitive buttons which are connected to a safety relay. Incorrect or inattentive control using just one hand or with another part of the body is detected by the system and the machine is not started. CAPTRON supplies the safeCAP two-hand control with additional safety elements such as the Protector or the control desk for tabletop installation. These combinations enhance protection and are certified to DIN EN 574. The dynamically switching SENSORswitches detect interference factors such as dirt, dust or foreign bodies. The switches can be actuated using disposable or work gloves, however. The fully electronic design of the SENSORswitches especially designed full every day fatigue-free continuous use and features extreme durability, reliability and robustness. The user receives optical feedback through 16 bright LEDs per switch. The high quality LED signal units from CAPTRON are the perfect alternative to conventional signal lamps in terms of service life, robustness and reliability. They require no maintenance and suffer no wear due to being completely cast with epoxy resin, making them ideal for permanent everyday use and for withstanding even the most adverse environmental conditions such as heat and cold as well as industrial influences such as dirt, dust and chemicals. Their service life can be up to 100,000 hours, which corresponds to 11 years of continuous use. An extremely wide range of designs, materials, LED colour versions and installation methods make them ideal for a very wide range of industries and uses such as public and private transport, industrial plant and building technology. If necessary our LED signal units from the standard range can be tailored to meet specific customer demands, including the following: LED colours, coloured outer ring and symbols.